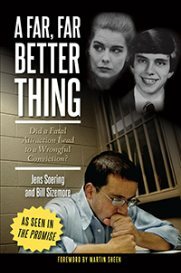 It’s been more than two years since Jens Soering asked the governor’s office for a pardon. In 1985, he was a German exchange student at UVA, dating a woman whose parents lived in Bedford County. During Soering’s courtship with Elizabeth Haysom her parents were murdered, and Soering was eventually convicted of killing them. 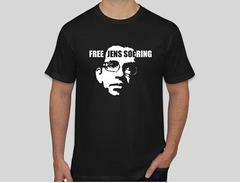 A retired police detective with 27 years of experience is now saying Soering is likely innocent and should be freed. More than two years ago, Jens Soering, who’s locked up at the Buckingham Correctional Center, compared some old laboratory records and figured out that type-O blood, which prosecutors claimed was his, actually came from someone else -- a man who has not been identified. Richard Hudson, a retired Detective with Charlottesville Police, was intrigued and decided to volunteer his services. “It was just an amazing story. I couldn’t believe it. There are just too many things with this case that don’t work. He notes, for example, that Soering’s girlfriend made incredible claims about what actually happened in ’85, when the two were staying at a Marriott in Washington, D.C. Elizabeth Haysom claimed Soering took their rental car and headed for Bedford. Nor did Soring’s attorney challenge the testimony of a tire track expert who claimed a bloody sock print matched the defendant’s foot like a glove. Hudson says it did not. The governor’s office says the Soering case is still under investigation, but Hudson thinks it’s taking way too much time. And he’s distressed by the fact that the sheriff’s office in Bedford County won’t play ball. Hudson doesn’t see how one young man – weighing just 140 pounds – could have killed two people with a knife, and he worries that there are real killers who were never arrested and brought to trial. The parole board, which is overseeing Soering’s pardon request, is staffed by retired officers from the state police who work part-time. Our calls and e-mails to board chairman Adrianne Bennett were not returned. Ironically, Soering is up for parole. He has a perfect record in prison, has written nine books and is unlikely to pose any threat to Virginians if released. As a German citizen, he would be deported, and top leaders in that country have said they want him back.